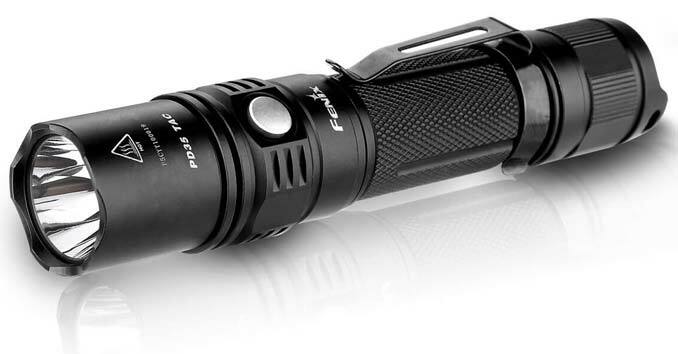 A flashlight is an essential piece of survival gear that everyone should be carrying as part of their everyday carry kit; but don’t just settle for any crappy little flashlight, you want to look for one that can serve multiple survival purposes – enter the Tactical Flashlight. What is a Tactical Flashlight and What should you look for When Buying one? 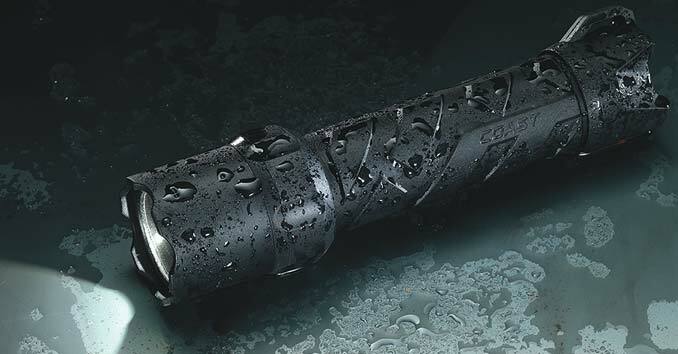 A good tactical flashlight should be designed specifically for self-defense. They typically emit more light than the average flashlight, are made of high-grade aluminum materials, and are designed to double as a personal defense tool for striking and blinding an attacker. SIZE: I prefer something that is easy to carry and can be slipped comfortably into a pocket. This is largely going to be a personal preference issue, but keep in mind if the light is too big to fit in your pocket are probably aren’t going to have it with you when you need it. HIGH LUMENS: The Higher the Lumen count, the more likely the flashlight is to scare off or disorientate an attacker. Weatherproof: You want to look for something that is waterproof, heat, and cold resistant. Materials: Look for something that is made from aircraft-grade or hard anodized aluminum. It’s going to be lighter to carry and will hold up to strikes during a self-defense situation. What are the top Tactical Flashlights? 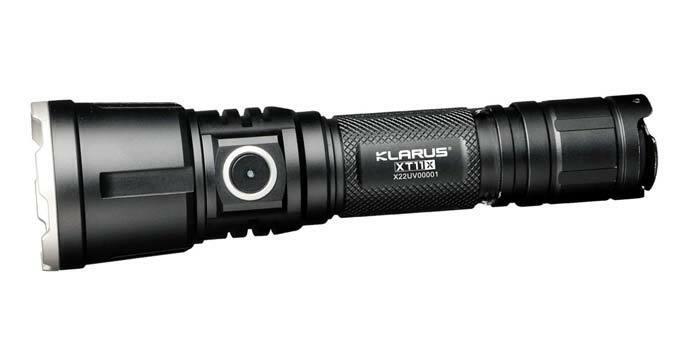 The Klarus XT11X has one of the brightest lights on our list; it delivers an incredible 3200 lumens of power and can be used to do some real damage during an emergency. Materials: Aerospace Aluminum alloy body with CNC machining; Mil-spec hard anodizing (HA III); lightweight yet robust construction. Self-Defense Features: Stainless bezel ring offers protection from impact. The Fenix PD35 TAC 1000 is hands down one of the best pocket-size tactical flashlights that we’ve seen on the market for a long time. Fenix lights are known for their quality, and the PD35 keeps with that tradition while clocking in at a much better price point than lights from industry leaders like SureFire and Mag Light. Designed with the military and law enforcement professionals in mind, the PD35 has some impressive specs. Batteries: Powered by two CR123A or single rechargeable Li-ion 18650 batteries. The Fenix PD35 Retails for about $75. There’s no doubt this flashlight lacks some of the features that other tactical lights on this list have, but we wanted to include a good budget light for those that don’t want to spend an arm and a leg for a flashlight. 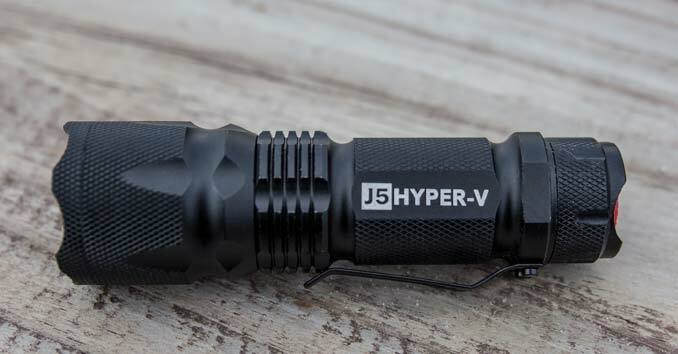 While the J5 Tactical Hyper V isn’t the brightest light on the list — it’s high output is around 400 lumens — it is a budget-friendly tactical light that has a few things we really liked. First, its powered with three AAA batteries. This is a selling point for us because during an extreme emergency where supplies start to run low there is a good chance that the newer batteries most of these lights take are going to be extremely hard to find. Common battery types like AA and AAA are going to be a whole lot easier to find or swipe from other electronics. Second, you can’t beat $20! 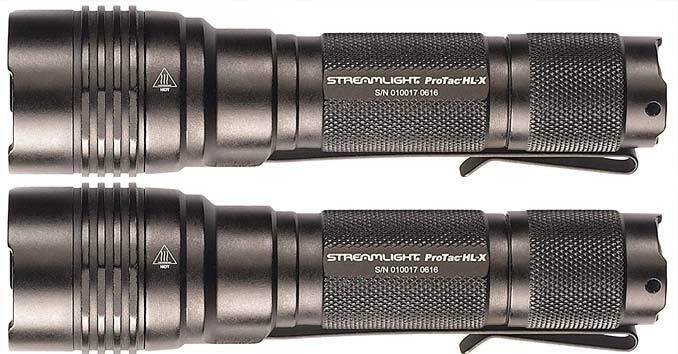 For the money, The Streamlight Pro Tac HL-X is an impressive light that is small, bright, well constructed, and boasts a respectable battery life. Battery Type: CR123A Lithium, 18650 Lithium Ion Battery or it’s available with two CR123A lithium batteries. Weather Resistant: IP68 rated; dust-tight and waterproof to 2m; All openings o-ring sealed. While Coast doesn’t specifically market this light as a “Tactical” light, we decided to add it to the list for a couple of reasons. 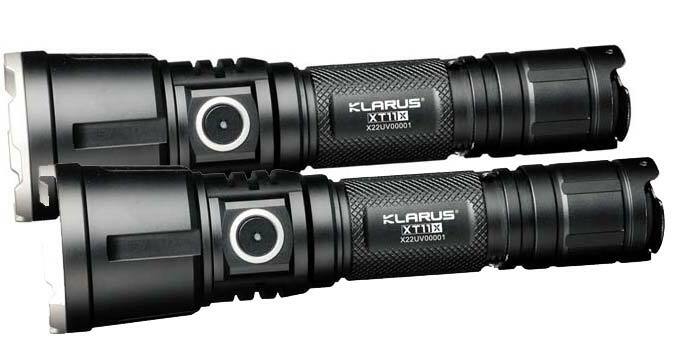 First, budget-wise you really can’t beat the price for this type of quality Second, while they may not market the light as “tactical,” it sure as hell beats a lot of the lights we’ve tested that claim to be self-defense lights. Weather Resistant: IPX8 rated design for water resistance, drop proof, and crush proof. Materials: Polymer exterior, Stainless steel core. Totally agree with the last light/ I’ve been carrying the Coast for the last six months and the thing is a beast. I’m fairly rough on my gear and this thing is damn near indestructible. Not only is the Coast darn tough, it comes with a core that can be recharged by USB and can also serve as a backup power source. If you need a quick charge on your phone for an emergency you pull the core out and attach it to your phone by USB. Presto! Charged phone! It is a really good emergency device. When you clip on a good paracord lanyard, maybe with a firesteel woven in and a mini-compass, it’s one thing I wouldn’t want to leave home without!